How the nutrition supplement berberine offers hope to women suffering from PCOS. Berberine is an ancient supplement that has been used in China for thousands of years as a treatment for diabetes, diarrhea, and infertility. Now research is starting to investigate its use in women with polycystic ovary syndrome (PCOS) and so far, the results are very encouraging. Berberine is an alkaloid extracted from Chinese herbs such as hydrastis cacadensis (goldenseal), berberis aquifolium (oregon grape), berberis vulgaris (barberry), berberis aristata (tree turmeric), and coptidis rhizome (huanglian). It can be taken as a capsule or in liquid form. Berberine can offer numerous benefits to women with PCOS including improving fertility, assisting with weight loss, and lowering the risk of metabolic complications that are associated with the syndrome such as type 2 diabetes, high cholesterol, and fatty liver disease. Perhaps berberine’s biggest role is as a potent insulin sensitizer. Women with PCOS have been shown to have higher levels of insulin when compared to women of the same weight without the condition. Metformin is an insulin-sensitizing medication that is often prescribed to women with PCOS to help manage insulin and glucose levels. However, many women with PCOS experience gastrointestinal side effects of metformin such as diarrhea, nausea, and stomach cramping. Long-term metformin use has also been shown to affect the absorption of vitamin B12. Berberine has been shown to improve insulin resistance in a similar way to metformin. Berberine improves insulin signal transduction by stimulating glucose intake via the activation of the AMP-activated protein kinase pathway. The benefits of berberine have been compared to metformin in women with PCOS. In a study published in the European Journal of Endocrinology, Wei and colleagues randomly selected 89 women with PCOS to receive either berberine (500 mg, three times a day), metformin (500 mg, three times a day), or a placebo for 3 months. All women were instructed by a nutritionist to reduce their intake of carbohydrates and fats. A calorie range was not provided. Women were also instructed to exercise 30 minutes each day with moderate to intense exercise. After 3 months of treatment, the women with PCOS who took berberine saw greater reductions in body fat loss than metformin or placebo. Berberine lowered insulin and glucose levels similarly to metformin. Women with PCOS who took berberine saw significant reductions in total cholesterol, LDL (bad cholesterol levels), and triglycerides as well as a significant improvement in HDL (good cholesterol levels), more than with taking metformin or a placebo. In addition, taking berberine lowered total testosterone levels similarly to that of metformin. While berberine does show benefits in improving metabolic complications of PCOS, it may also improve fertility. In a pilot study, 98 anovulatory women with PCOS were given berberine. Ovulation improved by an average of 25 percent after 4 months of taking berberine. A study published in Clinical Endocrinology showed that women with PCOS who were randomly selected to take berberine, had greater pregnancy rates than metformin or placebo and with fewer side effects when taken 12 weeks prior to IVF treatment. Just about any women who has PCOS can tell you that losing weight is harder for those with the condition. And weight loss is more difficult for many reasons including increased insulin resistance, strong cravings for carbohydrates, and impaired appetite regulation. Berberine may offer hope to women with PCOS who struggle with their weight. Berberine has been shown to reduce the secretion of the appetite stimulating hormone leptin. Berberine has also shown to be effective at assisting with weight and body fat loss by inhibiting the enzyme lipoprotein lipase, which is responsible for fat storage. An observed effect of taking berberine in most studies is weight loss, especially in the mid-section of the body, and lowered levels of body mass index (BMI). Women with PCOS are at an increased risk of having fatty liver disease due to the relationship with high insulin levels. Berberine has been shown to be an effective option to reduce fatty liver. 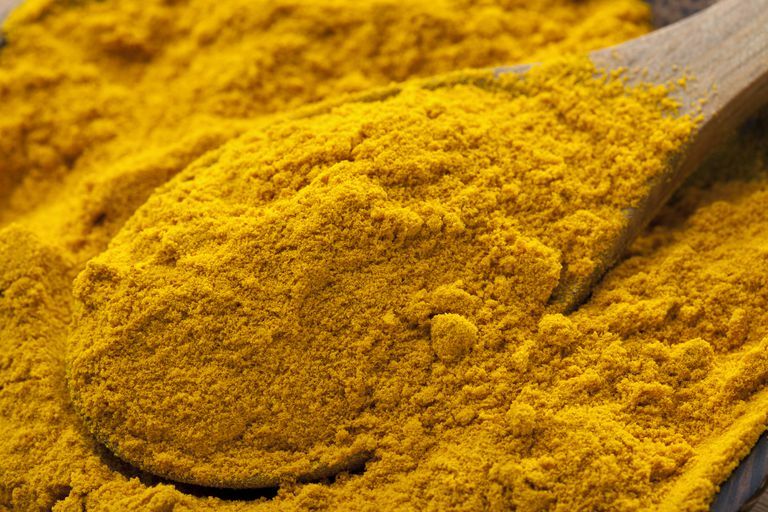 A review of six randomized control trials involving 500 individuals, found that berberine significantly reduced fatty liver in those with non-alcoholic fatty liver disease (NAFLD). Berberine lowered TG and liver function enzymes, and improved overall liver functioning. It has been found that berberine improves NAFLD by preventing liver fat build up and promoting fatty acid oxidation in skeletal muscle. Overall, berberine is well-tolerated but can sometimes cause adverse gastrointestinal effects including nausea and constipation, particularly when used in high doses. The therapeutic dosage of berberine to improve insulin and other proven health benefits is 500 mg, three times each day (similar to that of metformin dosing). To avoid GI upset, it may be best to slowly taper up to 1,500 mg daily by taking 500 mg for the first week, adding another 500 mg the second week, until you reach 1,500mg by the third week. Berberine is not intended for long-term use. No data are available regarding the safety of berberine among young women or in early pregnancy. Berberine is not recommended during pregnancy or lactation. Berberine may alter liver clearance of certain medications. Caution is recommended if you take other prescribed medications such as antidepressants, MAO inhibiters, blood thinners, and beta-blockers. Regular monitoring of liver function tests is recommended for those taking berberine. Since berberine is an insulin-sensitizer, it may cause low blood sugar, especially when combined with other insulin-lowering medications such as metformin or supplements like inositol or n-acetylcysteine. Consult with your doctor before taking berberine. An Y, Sun Z, Zhang Y, Liu B, Guan Y, Lu M. The use of berberine for women with polycystic ovary syndrome undergoing IVF treatment. Clin Endocrinol (Oxf). 2014 Mar;80(3):425-31. Chang X et al. Lipid profiling of the therapeutic effects of berberine in patients with nonalcoholic fatty liver disease.J Transl Med. 2016 Sep 15;14:266. Lin L et al. A Single Arm Pilot Study of Effects of Berberine on the Menstrual Pattern, Ovulation Rate, Hormonal and Metabolic Profiles in Anovulatory Chinese Women with Polycystic Ovary Syndrome. PLoS One. 2015; 10(12): e0144072. Wei W, et al. A clinical study on the short-term effect of berberine in comparison to metformin on the metabolic characteristics of women with polycystic ovary syndrome. Eur J Endocrinol. 2012 Jan;166(1):99-105. Yang J et al. Berberine improves insulin sensitivity by inhibiting fat store and adjusting adipokines profile in human preadipocytes and metabolic syndrome patients. Evid Based Complement Alternat Med. 2012:363845.